Have you made Asparagus Salad Withpecans? 2. 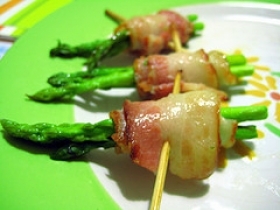 Wash asparagus and snap off tough bottoms of stems. 3. When water is boiling , add the asparagus and let water return to a boil. 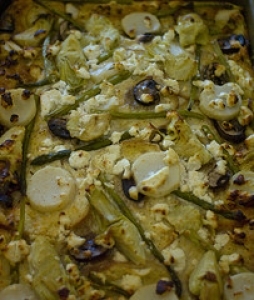 4. . Cook approx. 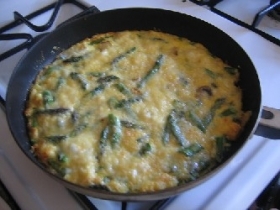 3 minutes or until the asparagus is still crisp but tender. 5. 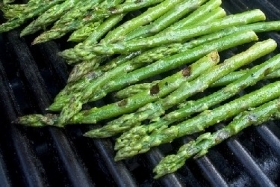 Remove the asparagus and rinse under cold water and refrigerate to chill. 6. 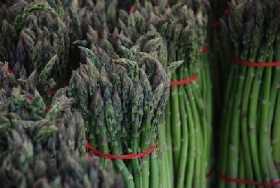 At serving time, line 6 salad plates with the lettuce leaves and arrange 4 asparagus spears on each. 7. 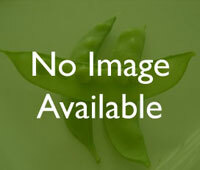 Top salads with the Buttermilk mayo and 1 teaspoon of the chopped pecans. 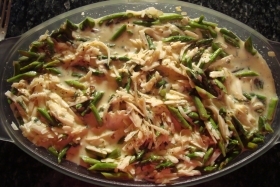 This recipe contains potential food allergens and will effect people with Milk, Butter, Asparagus, Pecan allergies.